HDMI cable 75 feet is one of the longest cables to have – better safe than sorry. 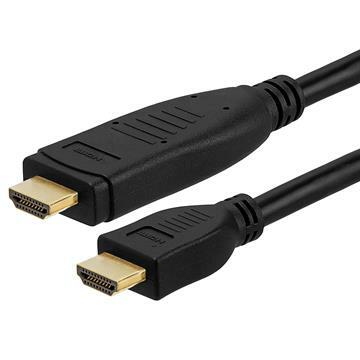 If you are not sure where your devices would be placed and you are expecting larger distances between them then a HDMI 75ft Cable is your best bet. It also comes in a variety of colors including black, white, blue, green, yellow, orange, purple and pink.